Monday, September 24, 2018 by Isabelle Z. When Apple announced its new smartphone lineup recently, much of the attention was focused on the bigger size of some of its offerings. As smartphones increasingly become laptop replacements for many people, it’s a reasonable business move to cater to the growing demand for bigger screens. What isn’t reasonable, however, is the surprising response from some feminists who will take any opportunity to claim they’ve been slighted. Their beef with the new phones is connected to their bigger size. Despite arguing for years and years that women and men are equal, they’d like to make an exception on this occasion and go with the idea that women’s hands are generally smaller than men’s to give themselves something to complain about. 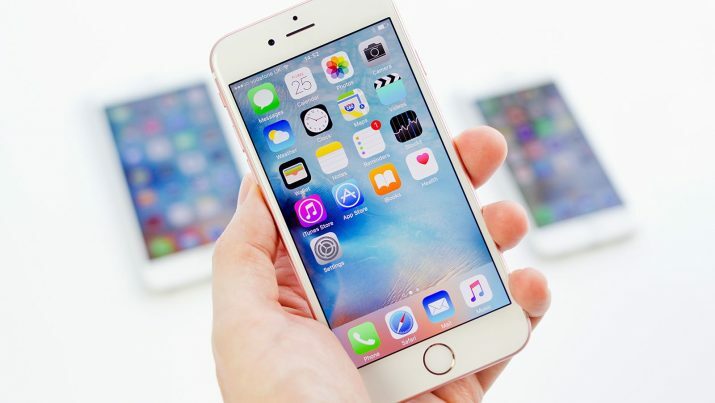 While most of us would simply buy whatever phone is the right size for our hands and purposes and appreciate the variety on offer, some women have decided it’s a personal affront and are taking the opportunity to complain about Apple’s sexism. The company, they say, didn’t consider women’s needs when designing the phone. Are they assuming that no women engineers or designers have a hand in developing new products at Apple? Now who’s being sexist? Like most feminist complaints, this one is a huge stretch. Although the iPhone Xs is the biggest phone Apple has ever made, it’s hardly huge – the standard one’s display measures 5.8 inches and the Max version measures 6.5 inches, which is an inch bigger than last year’s iPhone 8 Plus. A study that was published in the Australasian Piano Pedagogy Conference showed that the average man has a hand that is one inch bigger than the average woman’s hand. However, some women and men alike actually like having a bigger screen because it’s easier on their eyes, and there are lots of accessories and cases that can make bigger handsets easier to hold. Moreover, many of the smaller phones from Apple’s previous lineups are still for sale, so the whiners can just buy one of those and be quiet – but what fun would that be? “Women like me with small hands who need the most secure phone for safety reasons are stuck with something they can’t hold and constantly risk dropping,” complained Zeynep Tufekci, who is a sociology professor. That sounds quite dramatic; how many people do you know who cannot actually hold a smartphone? It’s the perfect example of a first-world problem: This new $1,000 smartphone is too big for my hands! With all the legitimate injustices in the world that these women could be complaining about, the fact that they’re spending any amount of time vocalizing their disappointment about the design of a product they are free not to buy says a lot about their priorities. It also goes directly against that popular feminist refrain that men and women are exactly the same. Some people will never be happy, and trying to please them is futile. It seems that finding reasons to be offended has almost become a sport for certain groups. It’s hard to believe that whether or not a phone is sexist is a topic of public debate right now, but we live in strange times.